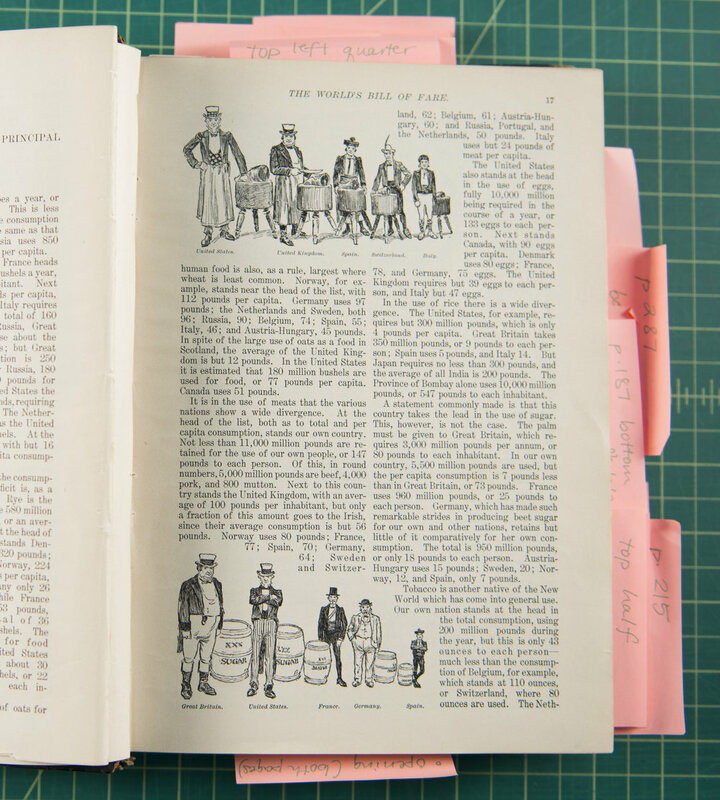 This week, photographer Curtis Lyles had the opportunity to photograph a 115 year old magazine/book for English professor Laura Jeffries. Dr. Jeffries wants to use some of the pages for a conference presentation, but the age of the book made photographing it a delicate process. We tasked Curtis with helping digitize the pages and he went about figuring out a set up that would work to eliminate shadows from the frame of the page without blowing out the background white of the page, or damaging the book. He placed two soft boxed lights on each side of a work table in our studio to push out any shadows caused by the book. Using our camera jib, he was able to bring the Nikon D800 between and above the soft boxes to get a clear view of the book without casting any shadows into the frame. After adjusting the camera, we were on our way to digitizing and sharing an interesting piece of literature from our history.